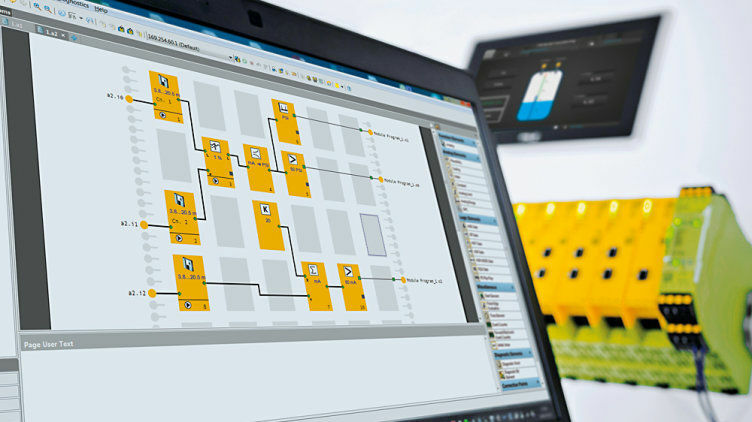 The PNOZmulti Configurator software tool provides support during the project design, configuration, documentation and commissioning of the configurable safe small controllers PNOZmulti. Why not see for yourself! The video tutorials illustrate the most important functions of the PNOZmulti Configurator. For the latest software version you'll find a What’s New Video, which summarises the most important new features. The What’s New Video provides a brief overview of the features on the latest software version of the PNOZmulti Configurator. That way you are always up-to-date on the latest release of the software. Version 10.8 of PNOZmulti Configurator supports a new expansion module of the configurable small control systems PNOZmulti 2: The safe analogue input module PNOZ m EF 4AI. The expansion module provides four independent safe analogue current inputs. The configuration is mode in the module program mIQ.